As we all know, poor Rudolph was a bit of an outcast. Shunned by his peers and unappreciated for his unique talents, he might have lived the rest of his days in obscurity, had not Santa recognized his glowing red nose as the solution to his supply chain problem. 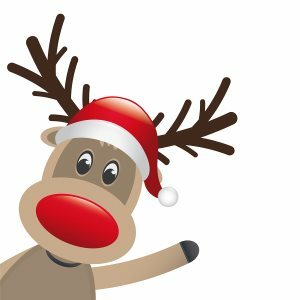 Many people find themselves feeling like Rudolph during the job search. No one appreciates them. No one wants to hire them. They have so much to offer, but it goes unnoticed. In this simple fable, however, we see that when Rudolph tried to fit in with the rest of the herd, he failed. But when he let his individuality shine (pun intended) and played to his unique strengths and talents, he became a valuable member of Santa’s team. When jobseekers bring a specialized set of skills and talent to the table, they’re able to find work in their niche. Instead of being competent at a variety of tasks, consider developing your particular talents and passions. Jim Collins, in his bestselling book Good to Great, uses another animal fable to illustrate this point. He compares foxes, which are natural multi-taskers with varied-but-shallow skill sets, to hedgehogs, which do only one thing but do it well. When a hedgehog rolls itself into a ball, not even the craftiest fox can get at it. His hedgehog concept is explained in greater detail here, but the gist is that focusing on doing one thing well is the best path to success. While Collins’s advice is aimed at CEOs, it applies to job seekers as well. More and more research points to the idea that multi-tasking, once the biggest buzzword in business, actually decreases productivity and quality. Instead of taking a shotgun approach to your job search by trying to mold yourself to vacancies you find on clearinghouse-style job boards, consider focusing on your niche first. What are you good at? What do you enjoy doing? Once you’re able to answer these questions, find problems that need solutions—these are your opportunities to lead Santa’s sleigh. If you’re not sure what your niche is, start by making a list of your skills. It’s okay at this point if you don’t see the crossover potential; just get them down on paper. Next, highlight or underline the work you most enjoy doing. Those are the skills that you should focus on as you take the final step of identifying opportunities where you’ll shine. For help finding those opportunities, tap into your network, talk to recruiters, and keep an ear to the ground and an eye to the sky. You never know when it’ll be your turn to fly.